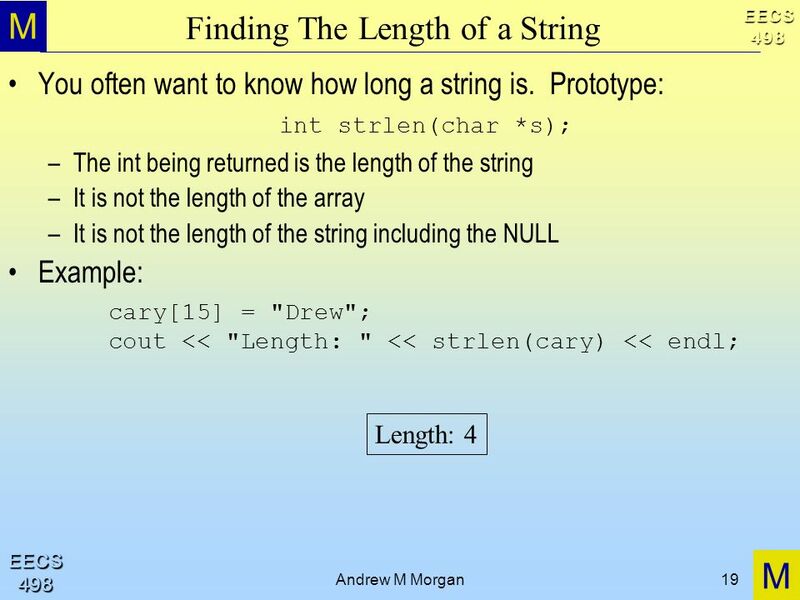 M The University Of Michigan Andrew M. Morgan EECS498-006 Lecture 14 Savitch Ch. 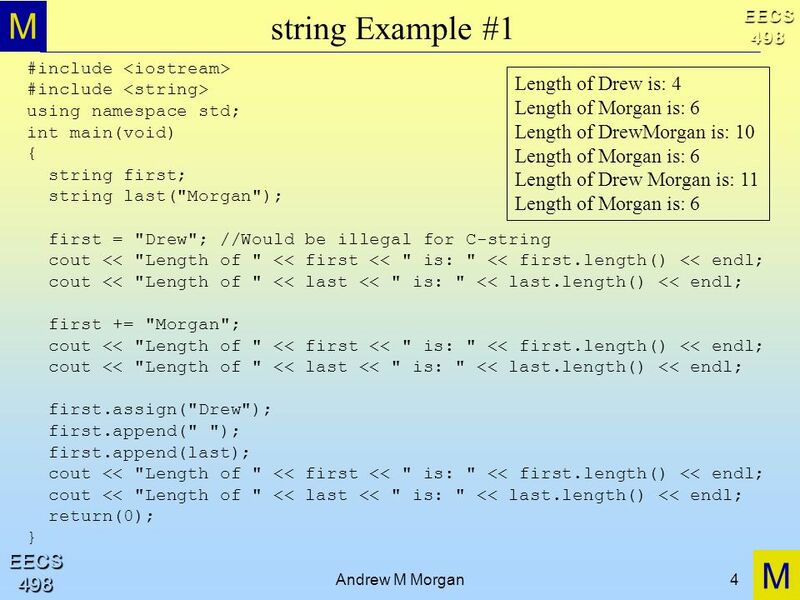 9.0 C++ String Data Type C-Strings. 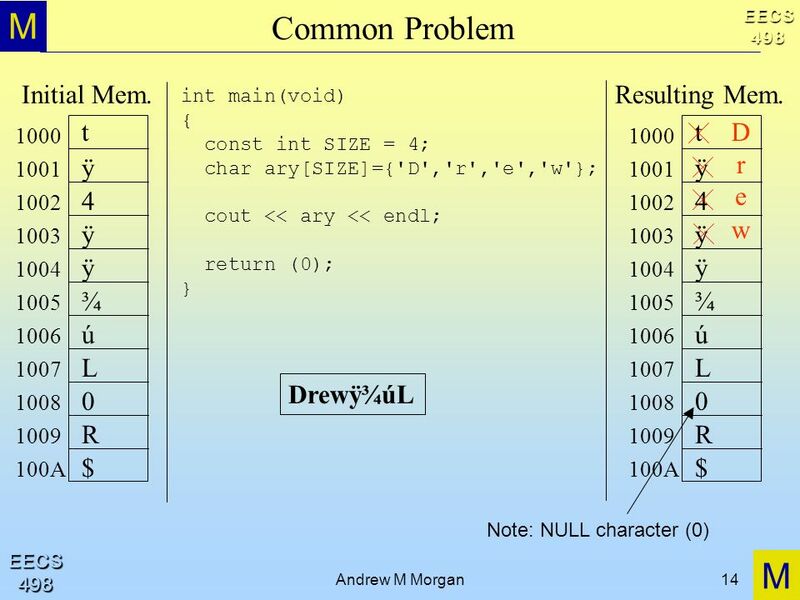 Download ppt "M The University Of Michigan Andrew M. Morgan EECS498-006 Lecture 14 Savitch Ch. 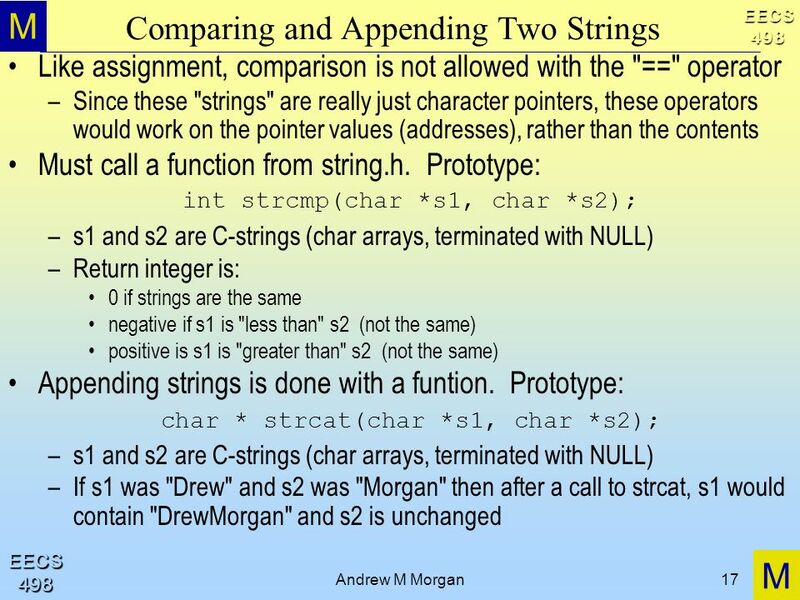 9.0 C++ String Data Type C-Strings." 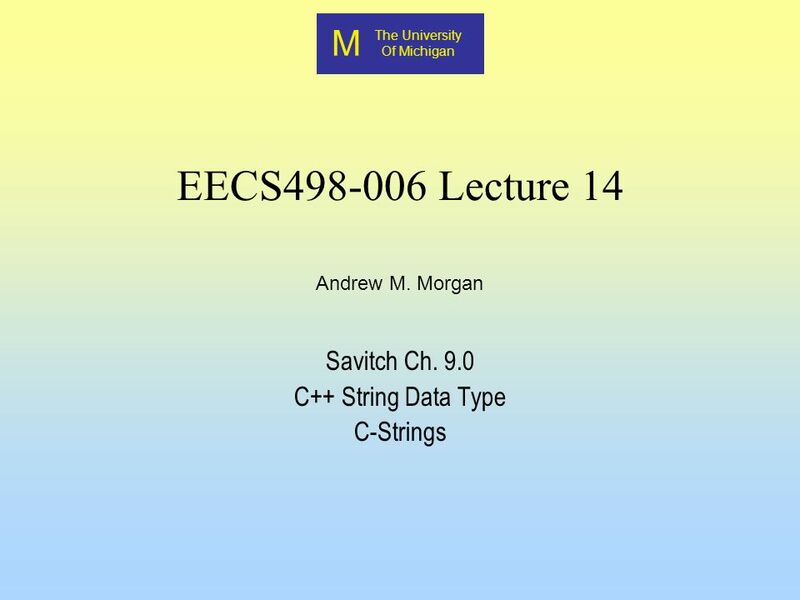 M The University Of Michigan Andrew M. Morgan EECS Lecture 01 Savitch Ch. 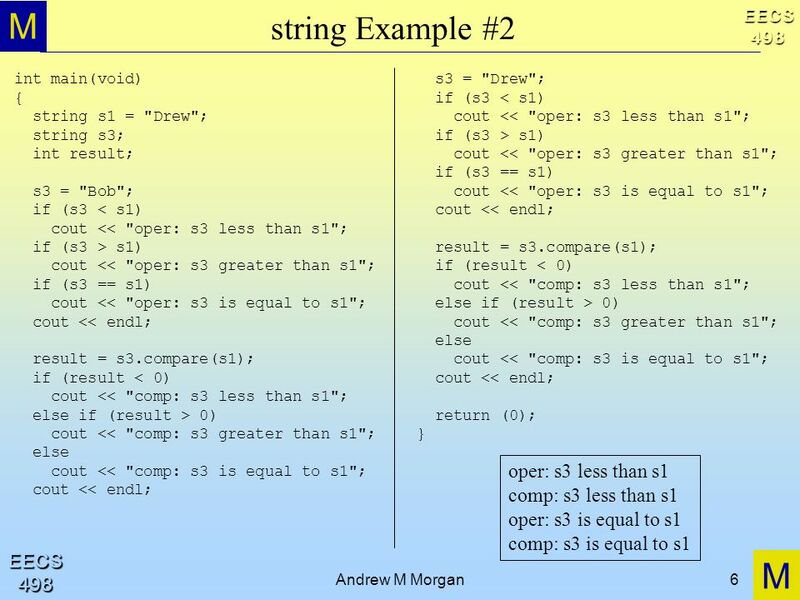 2 C++ Basics Flow Of Control. 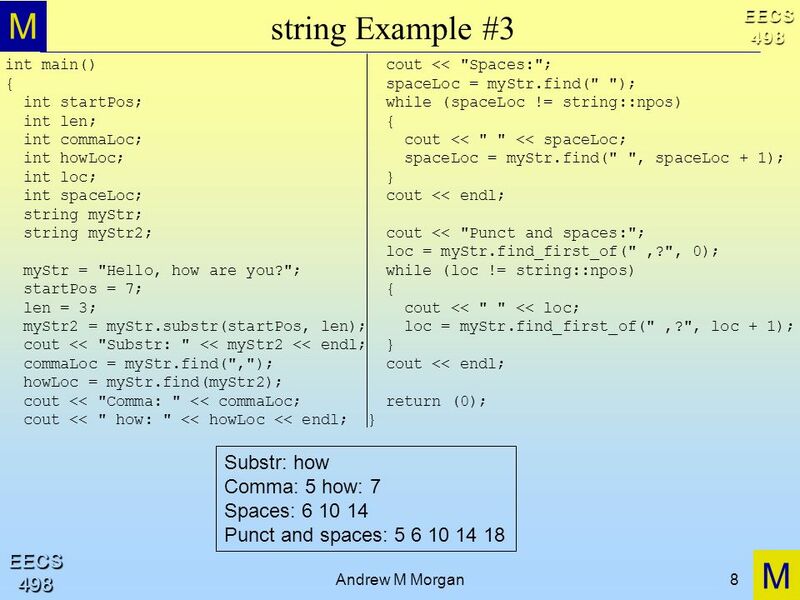 M The University Of Michigan Andrew M. Morgan EECS Lecture 25 Savitch Ch. 15 Polymorphism. 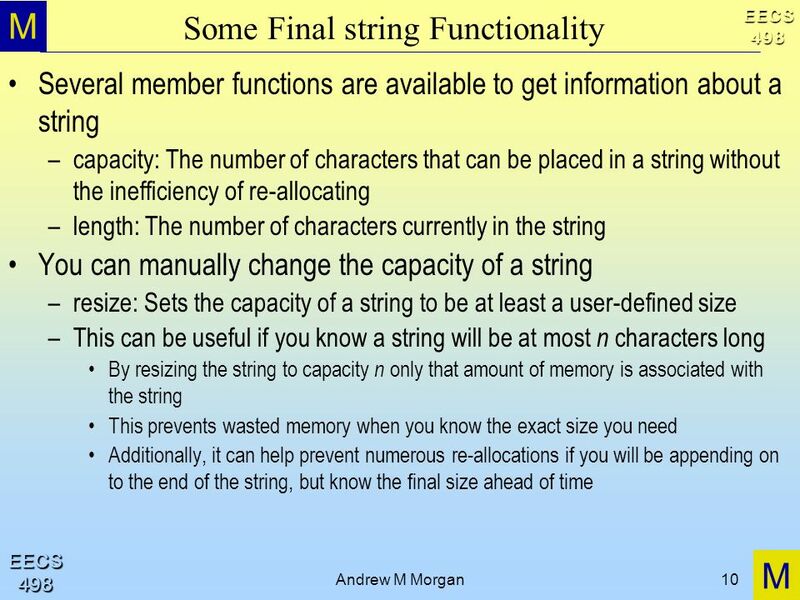 M The University Of Michigan Andrew M. Morgan EECS Lecture 09 Savitch Ch Compiling With Multiple Files Make Utility. 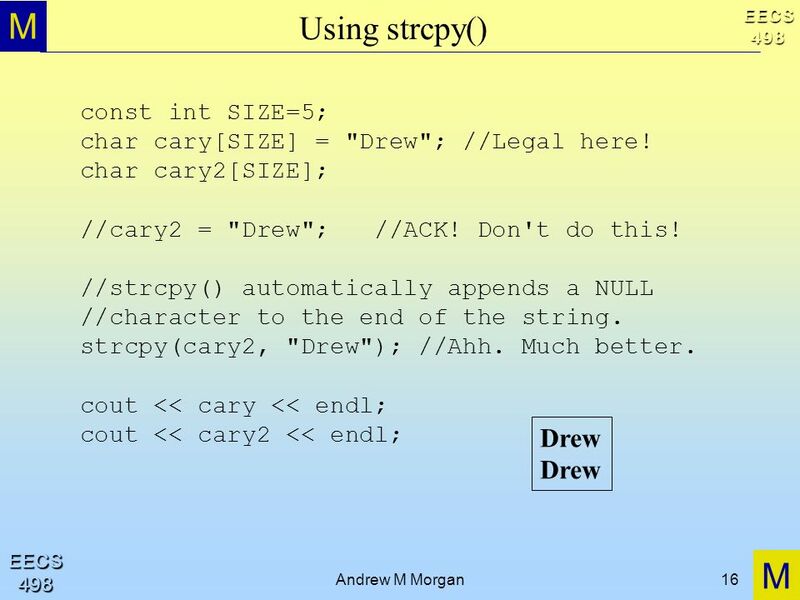 M The University Of Michigan Andrew M. Morgan EECS Lecture 22 Savitch Ch. 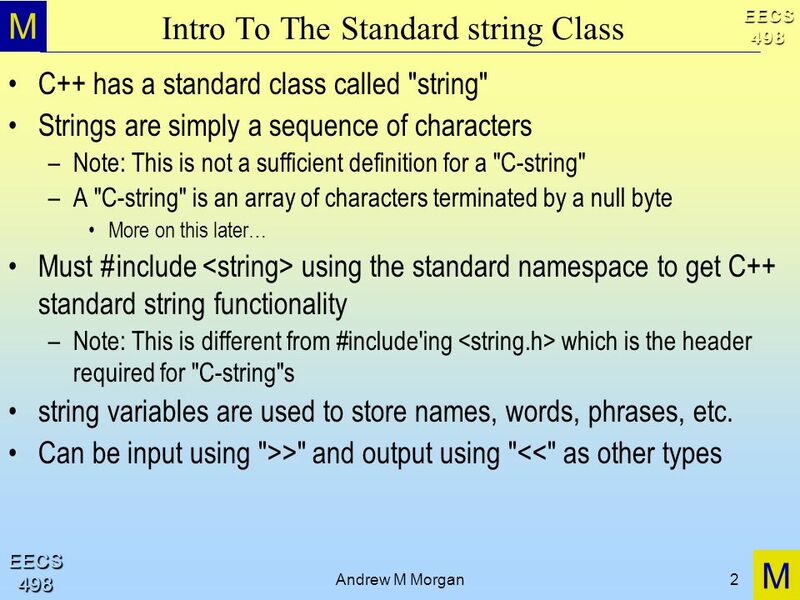 16 Intro To Standard Template Library STL Container Classes STL Iterators. 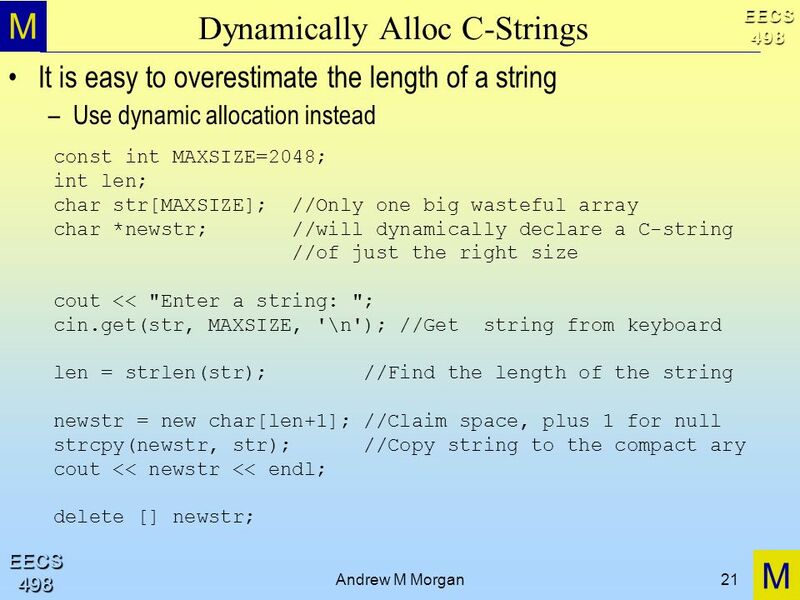 M The University Of Michigan Andrew M. Morgan EECS Lecture 06 Savitch Ch. 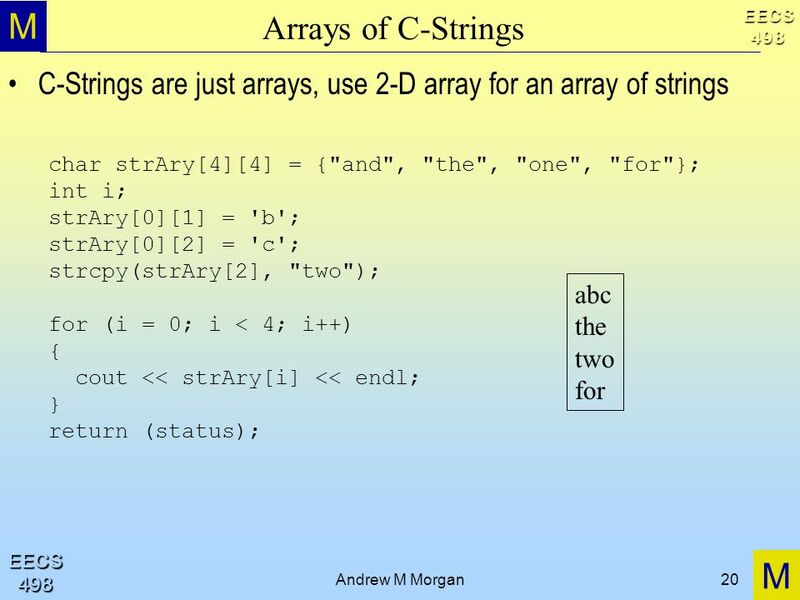 5 Arrays Multi-Dimensional Arrays. 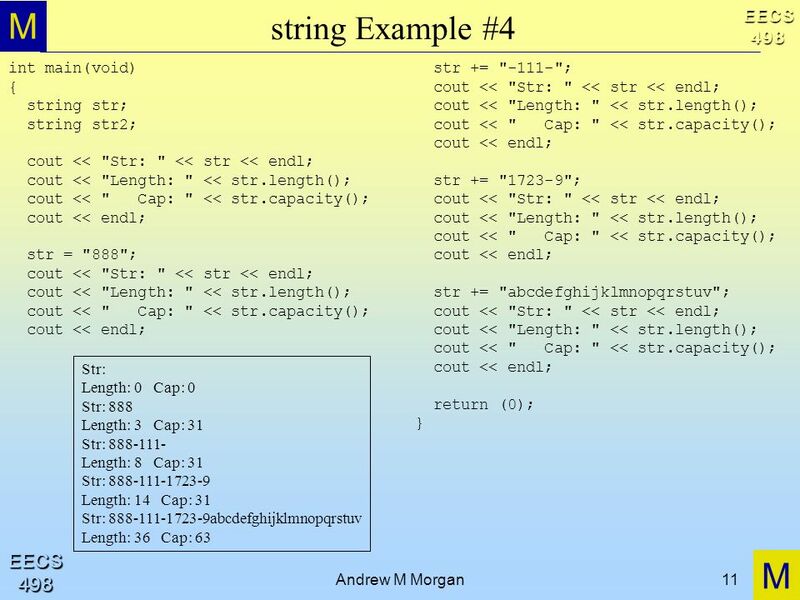 M The University Of Michigan Andrew M. Morgan EECS Lecture 24 Savitch Ch. 14 Inheritance. 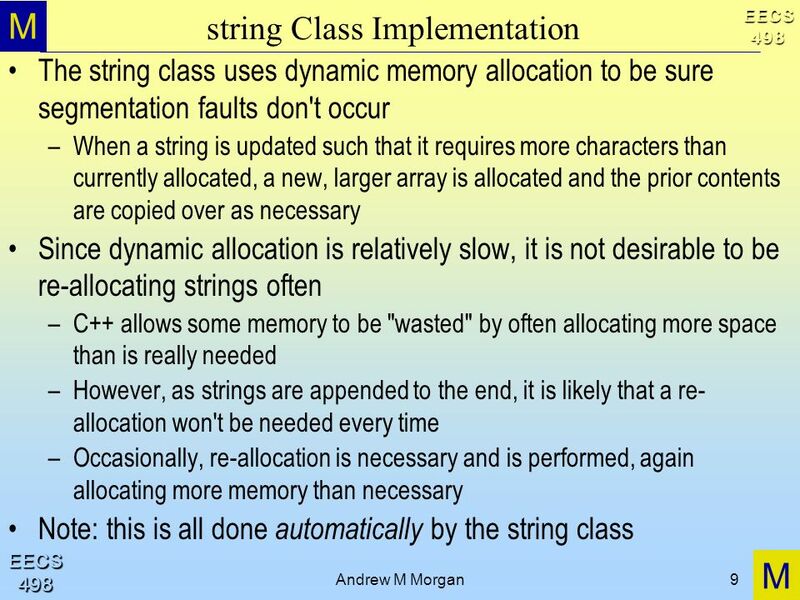 M The University Of Michigan Andrew M. Morgan Andrew M Morgan1 EECS Lecture 05 Savitch Ch Streams Stream States Input/Output. M The University Of Michigan Andrew M. Morgan EECS Lecture 18 Savitch Ch. 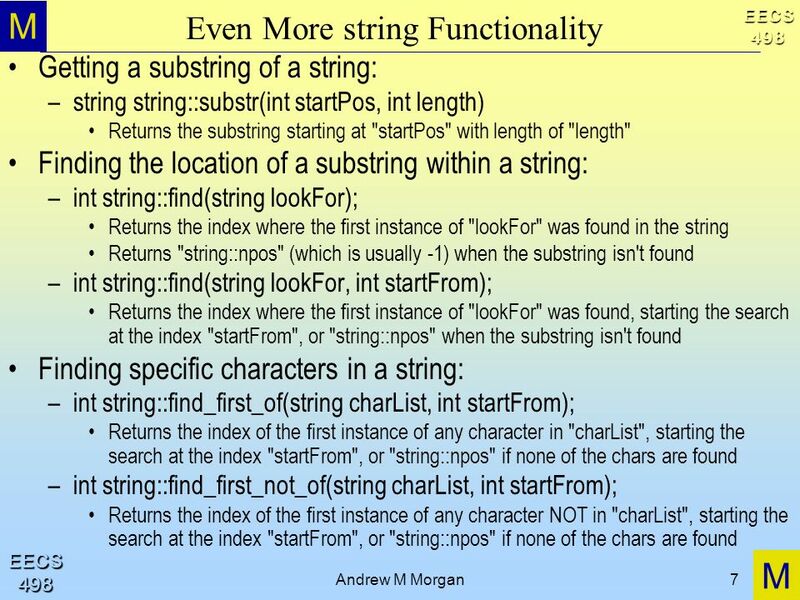 17 Linked Data Structures. 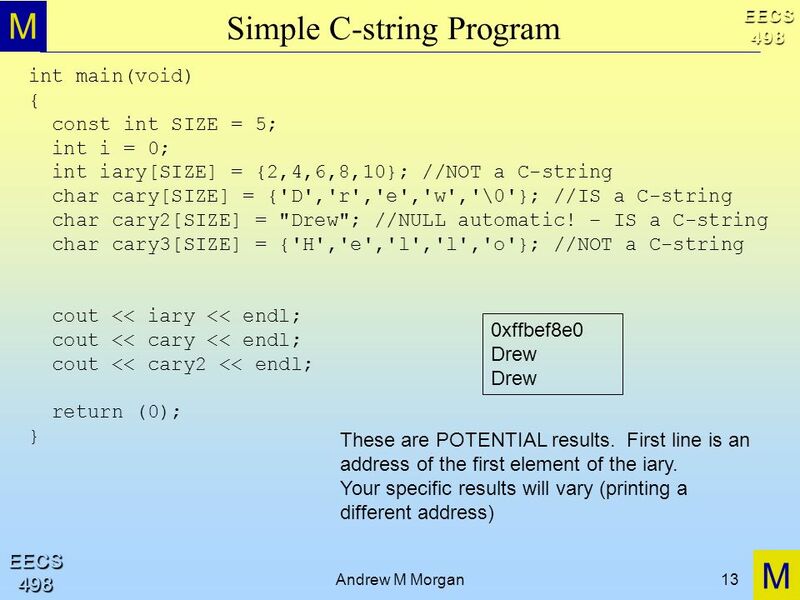 LECTURE 17 C++ Strings 18. 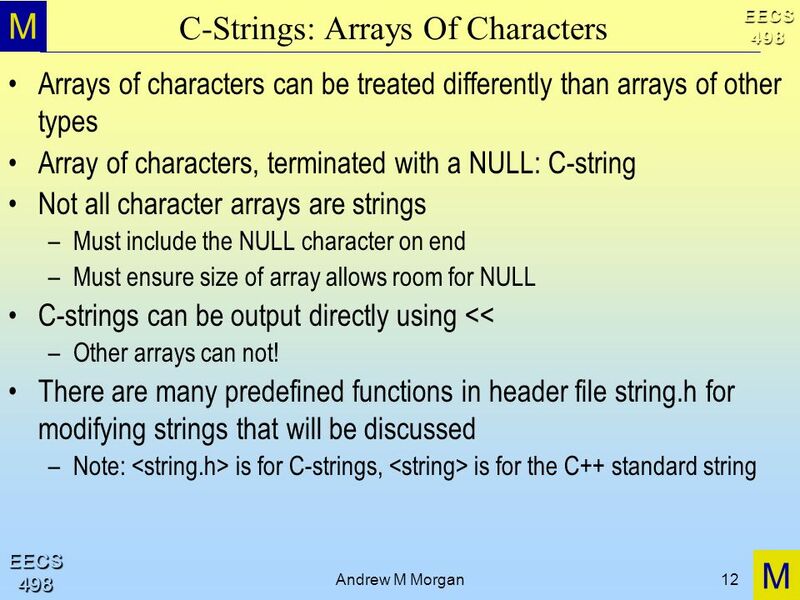 2Strings Creating String Objects 18 C-string C++ - string \0 Array of chars that is null terminated (‘\0’). Object. 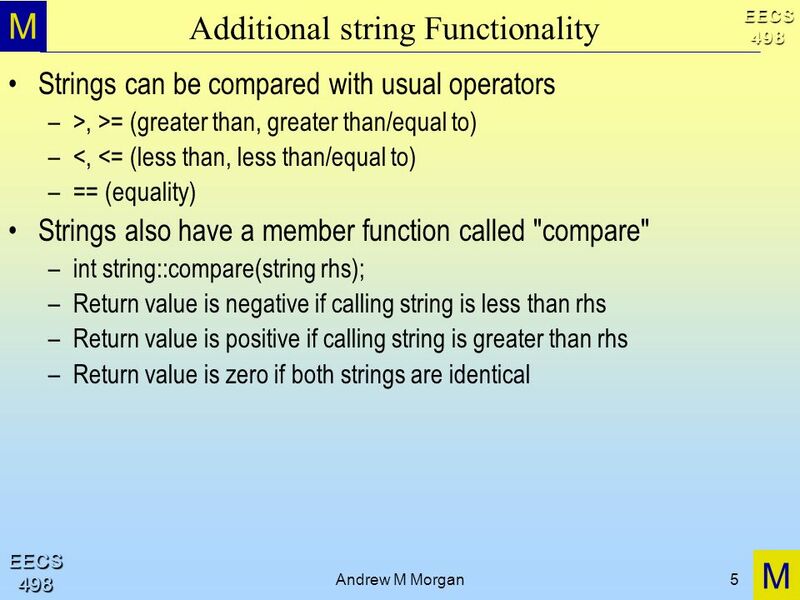 Copyright  Hannu Laine C++-programming Part 5 Strings. AU/MITM/1.6 By Mohammed A. Saleh 1. 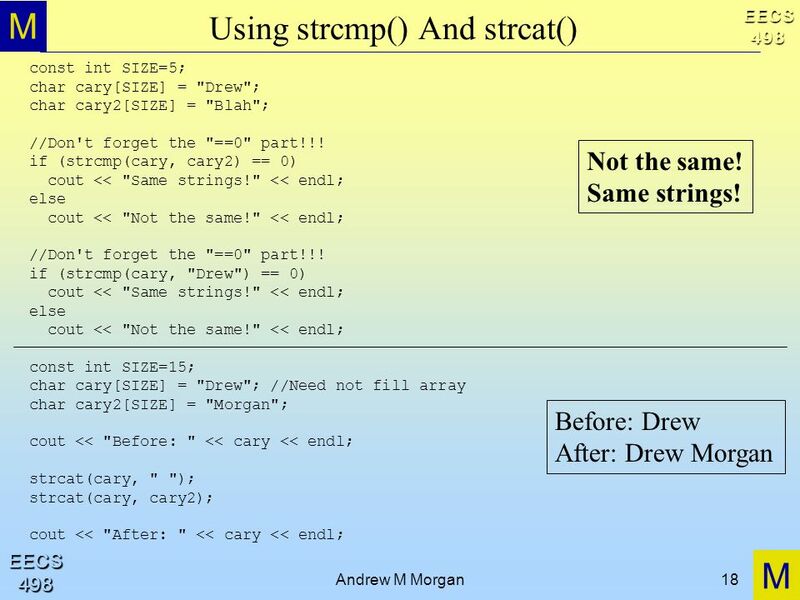 Introducing the string Class  Instead of using a character array to hold a string, you can use a type string variable. L5:CSC © Dr. Basheer M. Nasef Lecture #5 By Dr. Basheer M. Nasef. 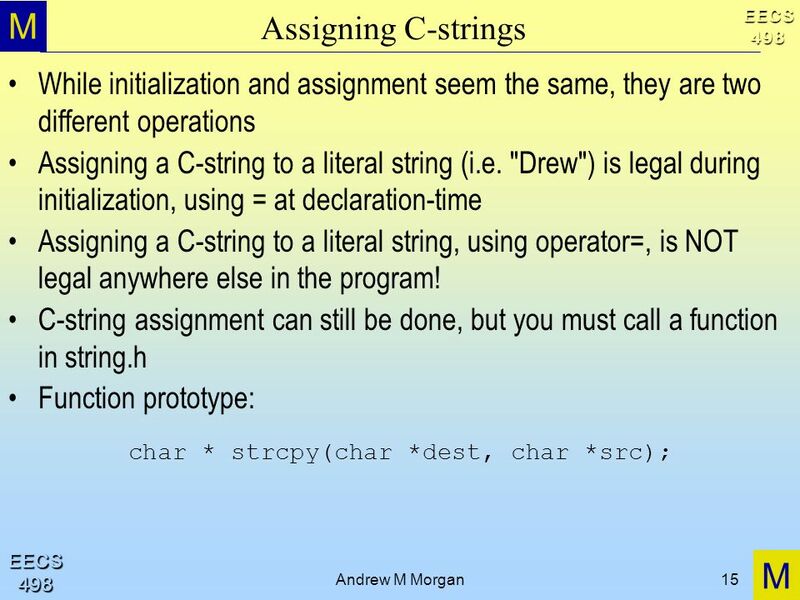 Programming In C++ Spring Semester 2013 Lecture 2 Programming In C++, Lecture 2. 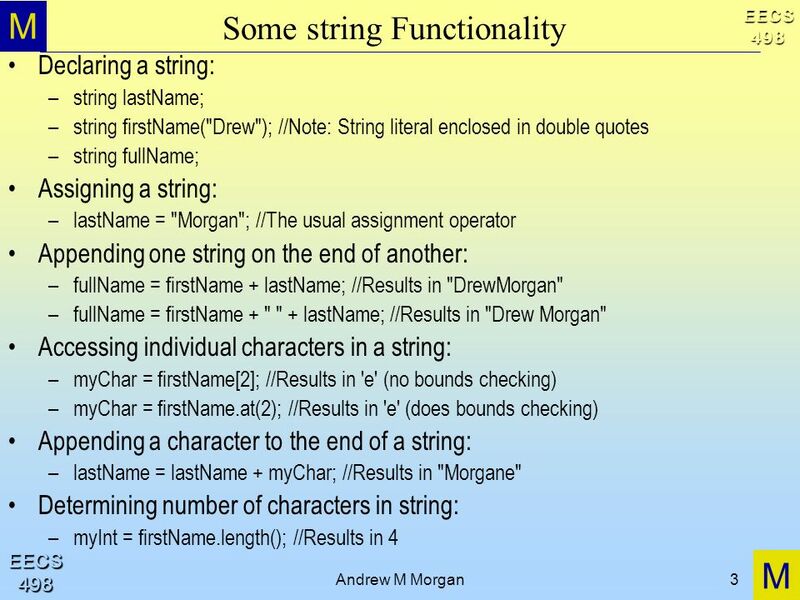 Chapter 7: User-Defined Simple Data Types, Namespaces, and the string Type.